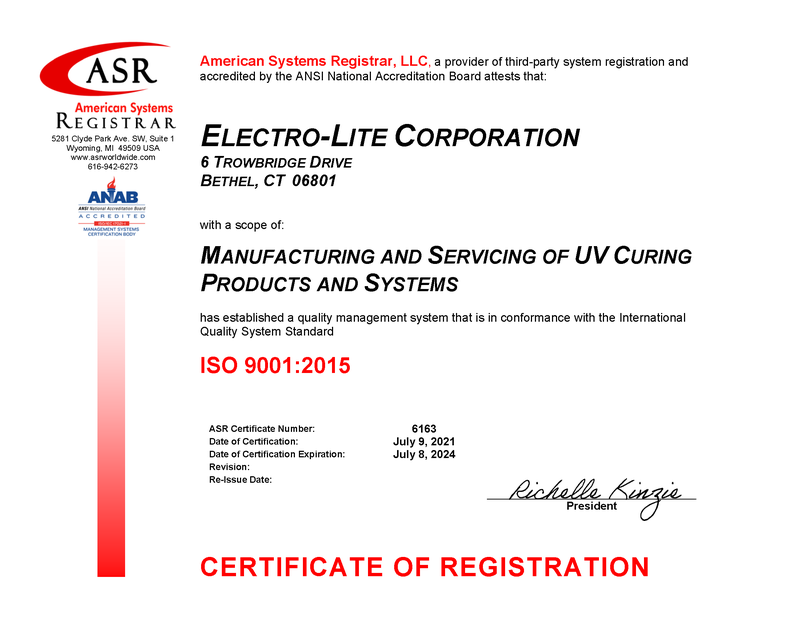 The Multi-Pole LED UV Curing System emits a consistent and repeatable 2.5 W/cm² @ 365nm at each pole. Unlike lamp technology there is no lamp or liquid light guide degradation or UV intensity variables throughout the individual poles. The UV light emitting poles fit easily into any XY motion system or similar automated production fixtures and can be controlled via footswitch or computerized PLC. The lack of liquid light guides and replacement lamps brings to the forefront of UV technology a zero level cost of ownership! The Single Pole LED UV Curing System is a small, space saving system with the same form, function, and features of the Multi-Pole with a single LED output. Similar to the Multi-Pole unit the single pole fits easily into automated production systems and can be controlled via footswitch or PLC. The economy and ease of use of the SinglePole system are an excellent choice for the design of low to high volume automated production systems or for bench assembly. 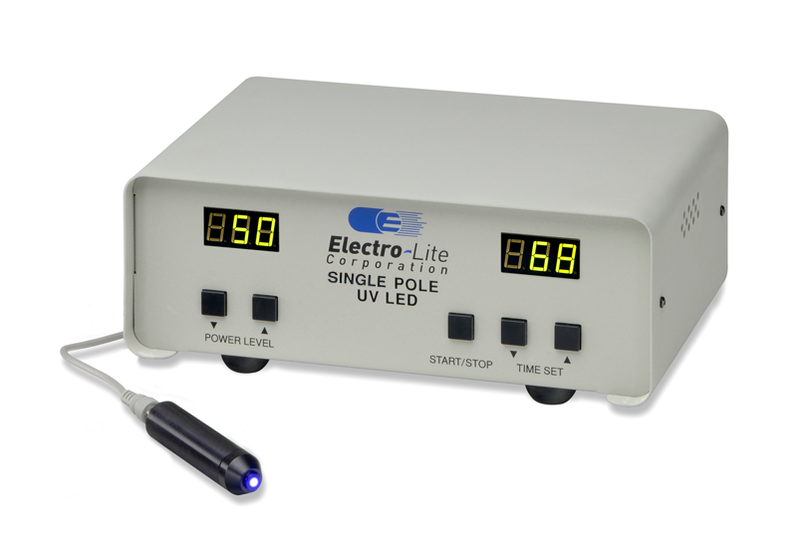 The LED-200 UV Curing System produces an output of 2.5 W/cm². This compact, hand held unit operates from a battery and is completely portable. An ergonomically positioned trigger switch allows comfortable operation while its compact size allows bonding difficult areas to reach. A microprocessor provides accurate control of timing functions and an LCD display shows operational status. This light, easy-to-use, advanced design is an excellent approach to solving bonding problems in manufacturing, field service repair and research and development.